Home » Pharma Blog » What is a Quality Control Analyst? What is a Quality Control Analyst? A Quality Control Analyst tests the product of a manufacturing process to ensure that it meets with predefined criteria. The completion of this quality check ensures that the final product is safe to release for sale or distribution. Let’s take a closer look at the details of quality control and the role of a Quality Control Analyst. What is Quality Control and what does a Quality Control Analyst Do? Quality Control is product oriented and focuses on testing a sample of a manufacturing process to make sure that meets the required design specifications or quality standards. The product can then be released to the next stage of the production process or deemed suitable to be released for sale or distribution. 100% sampling or Statistical Process Control (SPC) are some of them more widely used techniques in quality control. 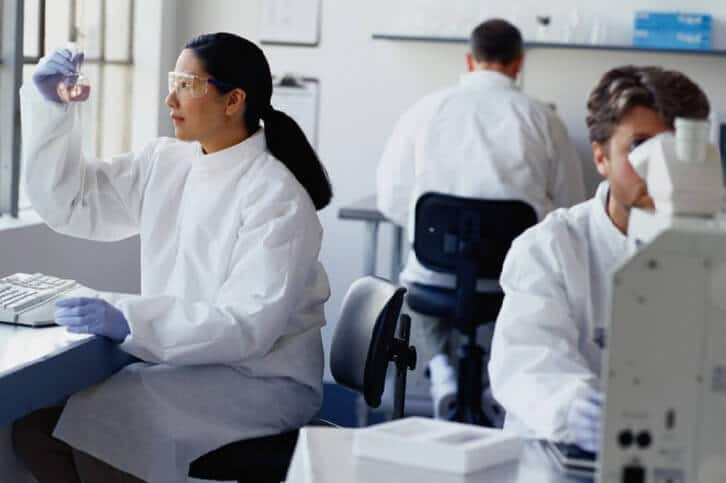 In pharmaceutical manufacturing, the sample testing is done in a laboratory so people who work in QC usually have a science/laboratory background. The Quality Control department will test the product at various points along the manufacturing process as well as testing the final product. Each test measurement is compared to the standards pre-defined in the Standard Operating Procedures (SOPs). If the test shows the product deviates from standard it could be destroyed or reworked (depending on the industry) and actions taken to adjust the manufacturing process to ensure it doesn’t happen again. The standards that test measurements are compared with are internal standards, external regulations and industry-wide standards. Clear documentation must be kept to show that rigorous Quality Control has been carried out before products were authorised for release. A job in this team carries a great responsibility. In the pharmaceutical and medical device industries, a defective product can mean significant harm to a patient. Maintaining the highest levels in product quality is essential. Take a look at this short video from the About Bioscience website, produced by the North Carolina Association for Biomedical Research (NCABR). It gives a great outline of a ‘day in the life’ of a Quality Control Analyst. High school level education in science subjects and industry experience are usually the minimum requirements for entry-level Quality Control Analyst positions. Many companies will provide training to candidates showing the right traits and skills. A BSc in science or engineering can replace industry experience for some candidates. Check out our salary guide for Quality Control Analyst salary information local to you. As with all resumes, it’s extremely important that you tailor your Quality Control Analyst resume to reflect the language used within the job advert. Where you have relevant experience or skills, use the words and phrases that the employer has used to describe them. Do not assume that someone will read similar wording and know what you mean. For more information on currently available Quality Control Analyst roles, head to our jobs boards and select Quality in the “Jobs by Category” menu. We currently have jobs boards for Ireland, the UK, and Philadelphia, USA.